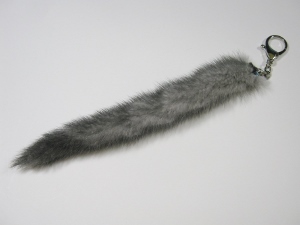 These are real mink tails made into keychains. They come in assorted natural colors. The mink tails average 18 to 24 cm long, and some may even reach up to 30 cm or longer. Keychains are Made in Canada.